CanArgo Energy Corporation is a US oil and gas exploration and production company operating in Georgia. CanArgo Energy Corporation was founded in the State of Delaware, after the merger of American Fountin Oil and Canadian CanArgo Energy Inc. Company current investors and senior management expressed interest towards Georgia far earlier namely in 1992, by setting up a company and launching oil exploration works in the west Georgia. 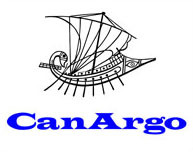 CanArgo stands for the abbreviation of the Canadian Argonauts. CanArgo is listed on the Norwegian OTC B-list under the symbol "CARG" and in the U.S. over-the-counter market under the symbol "CANR" as quoted in the "Pink Quote". 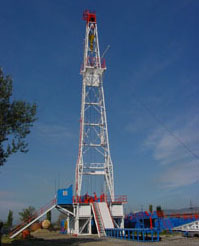 CanArgo is involved in oil and gas exploration in Georgia since 1996 .Since then CanArgo intensively carries out very active exploration and development works and has invested more than 200 million USD in Georgian oil and gas industry. CanArgo holds a 100% contractor’s interest in four Production Sharing Contracts (PSC/PSA) in Georgia totaling 607,113 acres. All of CanArgo’s oil and gas operations are performed through its wholly owned operating company, CanArgo Georgia, which is almost entirely Georgian staffed and managed and employs around 200 experienced staff. CanArgo Georgia has its own drilling rigs and equipments and drills most of its own wells. 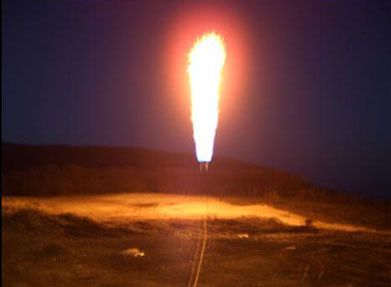 CanArgo Georgia was the first company introducing horizontal drilling and other up-to date technologies in Georgia. participated in drilling several deep exploration wells with new oil discoveries at Manavi and Norio, which are undergoing heavy appraisal and development works currently. After the Soviet Union period, CanArgo’s share from the whole oil and gas production in Georgia was as follows: oil- 60% and gas - 100%. The evaluation of the significant recoverable oil reserves in Ninotsminda field is still going on.